Dressellians are wrinkled humanoids from the planet Dressel. Dressellians believe fiercely in an individuals freedom and will often find it difficult to work in groups, even so many formed a freedom fighting force during the time of the Empire to fight for their right to live as they wanted. 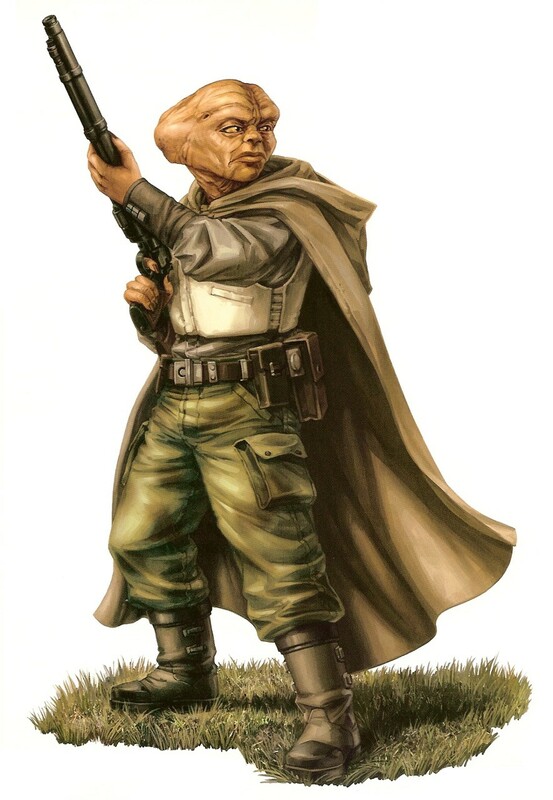 Dressilians treasure freedom above everything else and when fighting for it, they typically prefer slugthrowers (rifles and pistols firing metal projectiles) over blasters.